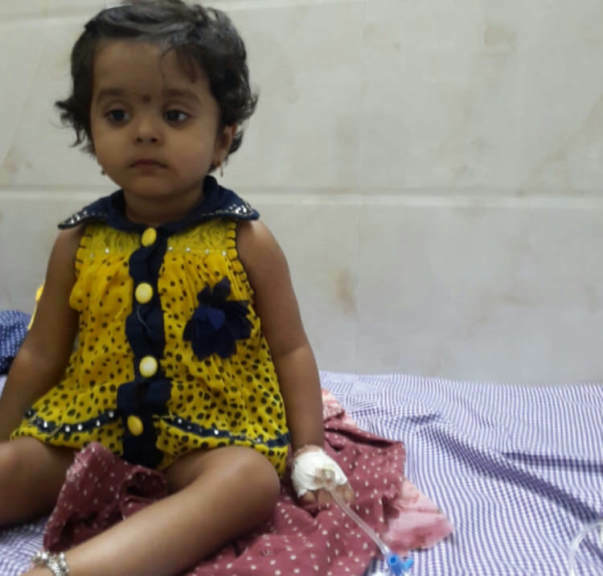 2-year-old Nidhi has been diagnosed with Liver Cirrhosis which is a severe liver disease and urgently requires a liver transplant. 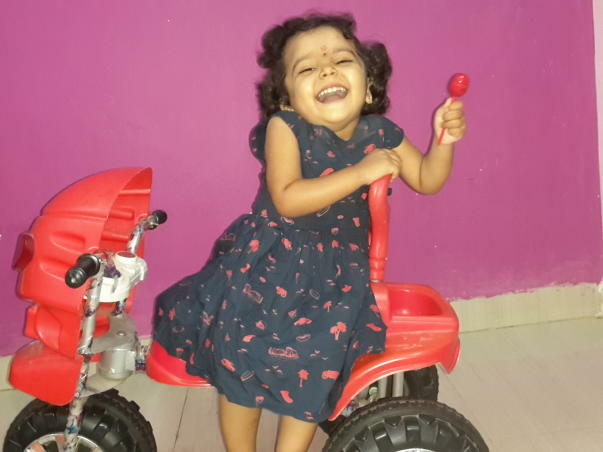 Nidhi has liver cirrhosis and she needs a liver transplant to live. She is battling a condition she doesn't understand. My daughter was born with a liver condition. In just three years, her liver has become completely damaged and she now has liver cirrhosis. Liver is an organ critical for good health and immunity – our daughter who has done nothing wrong falls sick every week because her liver is failing. Every morning my wife and I wake up and rush to our daughter's room because she needs monitoring. When she wakes up, she is struck by a bout of itching because of her liver disease. Nidhi starts to scratch often opening previous older scabs and making herself bleed. Unfortunately, Nidhi's father, Nagnath, cannot afford the cost of surgery but is willing to do whatever it takes to save his daughter. 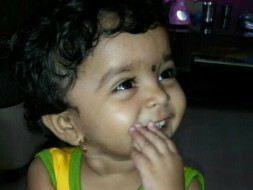 To help Nagnath save his daughter please donate towards her surgery and help her get the treatment she deserves. "Nidhi is my only child and I will be deeply grateful for any help I get in saving her life." Nidhi had developed some complications after the liver transplant surgery, and she could not be saved. She passed away in the hospital. Funds raised has been utilized to clear her medical expenses. I will always be grateful to you all for helping us and for supporting her. May her soul rest in peace. Here is a quick update on Nidhi's health. Nidhi has successfully undergone the liver transplant and is currently in the ICU. There are good signs of progress in her health and doctors are of the opinion that she will soon be able to go home. Her mother was the donor for the transplant, she is also discharged and now doing completely fine. We would like to thank all of you for the love and support you have shown Nidhi. Thank you for the wonderful support that you have shown towards my daughter, Nidhi. She underwent the pre-transplant tests and procedures. 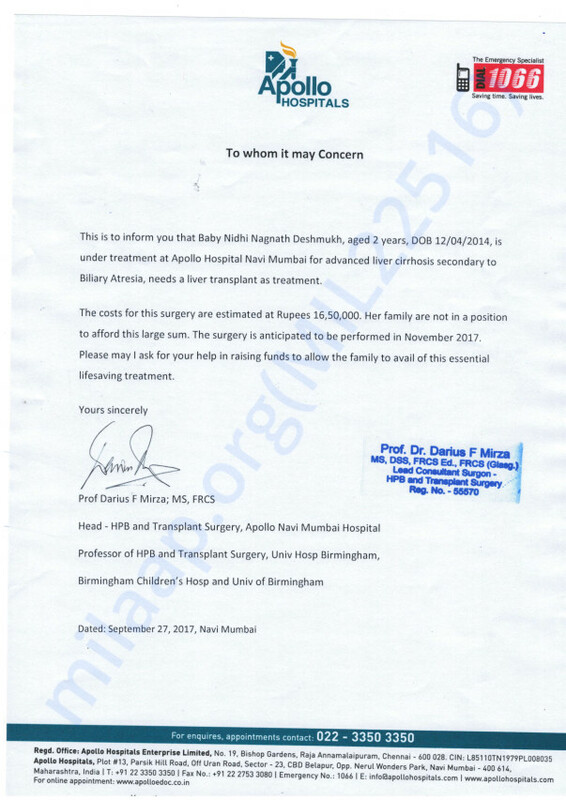 The reports suggest that her mother is a match and she will be donating a part of her liver to our daughter Nidhi. The procedure has been scheduled for tomorrow, 9th June. I would like to thank you all once again. Please do pray for the procedure to be a success and do pray for her health and speedy recovery. Will keep you posted.